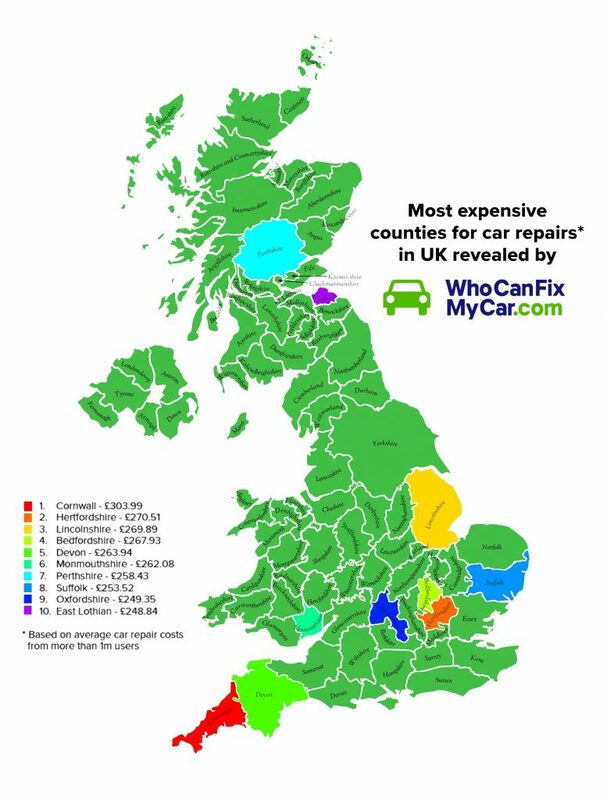 The online garage and repair marketplace, WhoCanFixMyCar.com, has revealed which counties are the most expensive for the average car repair – with Cornwall topping the list. The average cost for Cornwall sits at £303.99 per repair, whilst Derbyshire is the cheapest county in the UK at £172.40 per repair. WhoCanFixMyCar.com analysed its internal price data for car repairs over a four month period, excluding MOTs, and has created a nationwide map to represent the varying costs across the county (see Fig.1). The car repair platform has also created a postcode cost calculator, where visitors to the website can find out what the average car repair cost is for their area. Al Preston, Co-Founder of WhoCanFixMyCar.com, said, “It’s always interesting to find out which areas in the UK are the most expensive when it comes to car repairs. 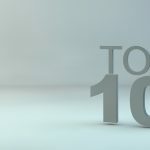 It comes as a bit of a surprise to us that London isn’t in the top 10, however, that’s probably because there is more competition there than somewhere like Cornwall, which will often drive down the average cost.